We'll walk you through an easy step-by-step process to create your expressive art, including a large canvas and all the paint and supplies you need. No experience necessary - in fact, beginners have an easier time letting go!! Reserve your painting station, including a large canvas, all-you-can-use paint, use of brushes and full instruction. Paint as the Spirit moves you while we play music that inspires and lifts you up in the name of God our Creator, and the giver of all creativity! 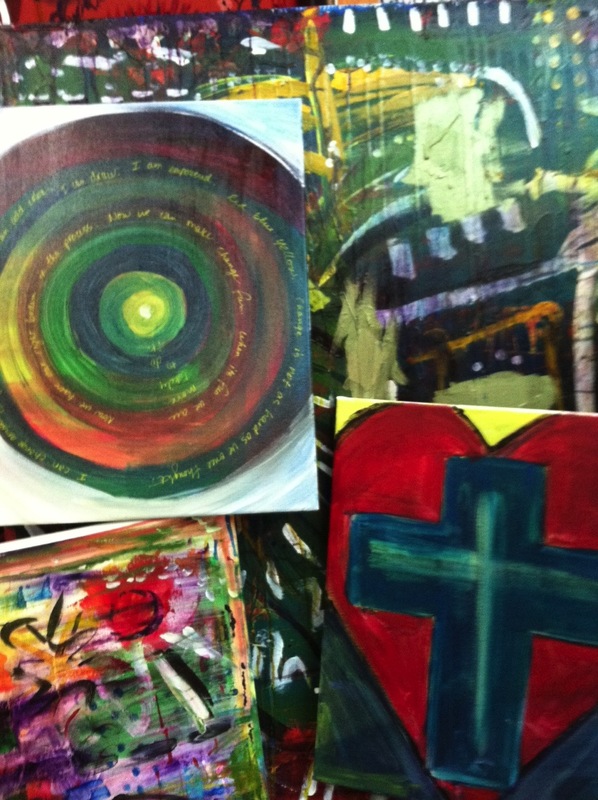 Incorporate your prayers, favorite scriptures, lyrics and psalms right into your paint. We’ll share templates for painting crosses, doves, hearts, and other designs, or come with your own ideas. We recommend our favorite expressive painting method: just start making marks on the canvas and see what painting starts to emerge! We'll share an easy 4-step instructions to get you started, so absolutely no experience or talent is required. You’ll leave with a painting that visually captures your PRAISE, plus you’ll learn color mixing and painting tips as well.